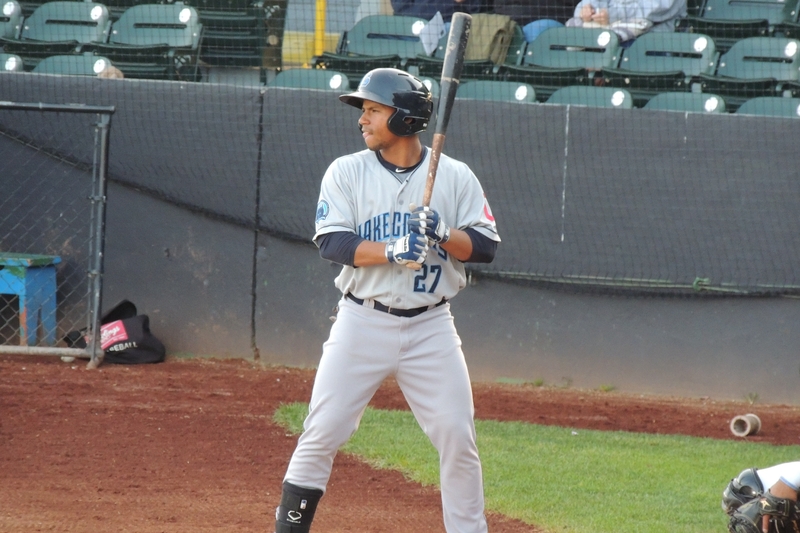 Minor League Baseball named former Lake County Captains catcher Francisco Mejia the Midwest League player of the month for June. During June, Mejia led the Midwest League in batting average (.429), total bases (60), slugging percentage (.714) and OPS (1.175, .200 points higher than the next player), and was second in on-base percentage (.461), home runs (six) and hits (36). Mejia, who recently was promoted to the High-A Lynchburg Hillcats, currently has a 32-game hitting streak; the first 24 games of the streak were in the Midwest League. The Cleveland Indians prospect is on the World Team roster for the All-Star Futures Game, which will be played Sunday at Petco Park, home of the San Diego Padres. A current Midwest League pitcher also won a player of the month award for June. RHP Chris Paddack, who is scheduled to make his first start for the Fort Wayne TinCaps tonight, was named the South Atlantic League player of the month for June. Paddack posted a 0.93 ERA, struck out 32 batters, and allowed only four hits and one walk in 19.1 innings for the Greensboro Grasshoppers last month. He hasn’t allowed a hit in his last 15.1 innings. The Miami Marlins traded Paddack to the Padres for RHP Fernando Rodney on June 30. You can read more about Paddack here. This entry was posted in 2016 All-Star Futures Game, Carolina League, Fort Wayne TinCaps, Greensboro Grasshoppers, Lake County Captains, Lynchburg Hillcats, Midwest League, South Atlantic League. Bookmark the permalink.